Plus a One-Size Cover Giveaway too! Welcome to our our September 2013 edition of Cloth Diaper Column! This month, we're talking about cloth diaper covers. And we've got a little diaper cover giveaway to share with you, too! Plus, we've got other news, new articles, and more! September has marked the start of lots of new routines for us! 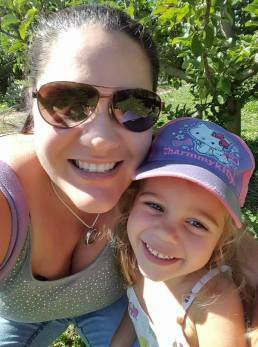 My son started Kindergarten this year, and that means Mommy and Daddy need to be more organized than ever before! I hope you're settling in if you too have launched a new beginning this fall too! 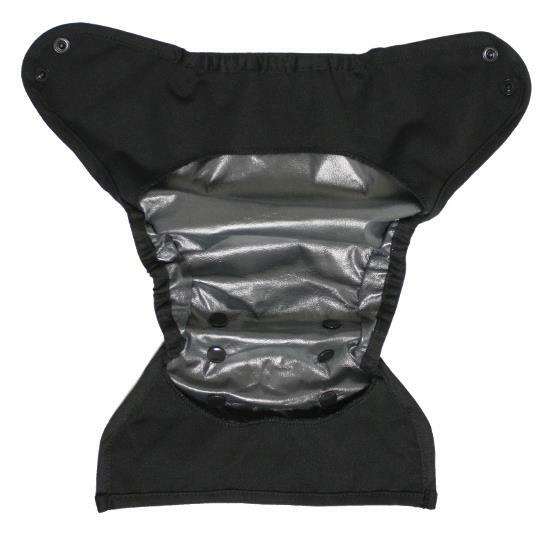 Diaper covers are always a hot topic! This month, we revisited and updated our full article on Everything You Wanted to Know About Cloth Diaper Covers. While some parents choose to start out with pocket diapers, equally popular are covers combined with prefolds, inserts or fitted diapers. How often will you do laundry? For newborns, most parents find that 6 to 8 covers are needed, since the runny messes that newborns are famous for often get onto the diaper covers, so they can't always be re-used before laundering. For older infants, you will likely need 4 to 6 covers, and for toddlers, you may only need 2 to 3. If you plan to use wool, which can be rinsed without needing to be washed as frequently, you can get away with a few less than this for each age. 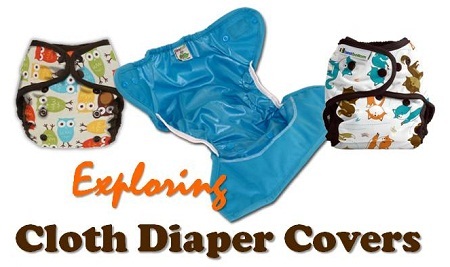 There are a ton of awesome diaper companies that make covers, and even though we've tried a lot of them, we can't possibly feature them all in a single article. We decided instead to focus on a wide variety of styles and fabric choices, highlighting some of (what we feel are!) the most reliable covers on the market. For more information, including fabric choices, links to articles on how to care for wool, some of our favorite diaper covers, and lots more, be sure to read our full article on cloth diaper covers. Did your favorite cover make the list? 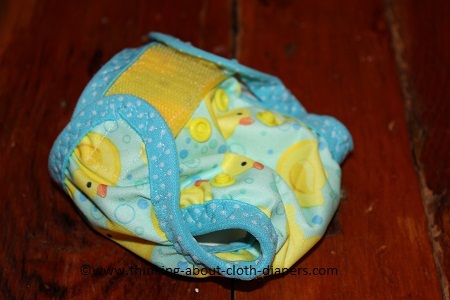 And we've got a new diaper cover sewing tutorial out this month, too! We show you how to make a cover just like the one shown up above, featuring fold-over elastic! 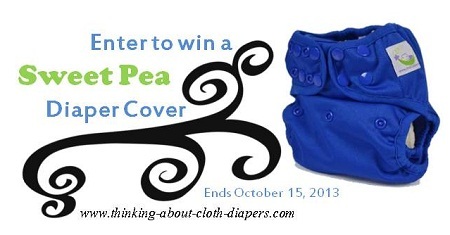 I hear it from readers all the time... cloth diaper covers are one of the best giveaway prizes! And so in keeping with the theme of this month's newsletter, I'd like to offer up a Sweet Pea diaper cover in a little giveaway! 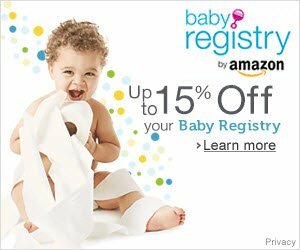 We're grateful to our site sponsors that allow us to offer you more chances to win cloth diapers, gear, and other awesome prizes! We've got 3 giveaways currently going on right on our site (in addition to the one included in this month's newsletter)! Newborn Prize Pack including GroVia Cloth Diapers - Sorry, Canadians, this one's only open to US residents. There is a huge prize pack full of big brand name items. Ends October 7, 2013. Have you seen that campaign that SprayPal put together to try to win an ad during SuperBowl? We're right between round 1 and 2 right now, so you can't vote today, but I love that they are trying to #makeclothmainstream. If you want to vote, be sure to follow their Facebook page for more updates. For Canadians, Nature Bumz has Happy Heiny's Lux Fleece Diaper Covers on 40% off, now just $12 each! We've got a little one on the way in January, and it's challenging keeping up! One thing that's always weighing me down is paperwork - mail, bills, receipts, and more that make their way into our home. I've recently started using Evernote to track the details of our busy life... I love how I can use the camera on my smart phone to "scan" documents, and then they are easily accessible wherever I am, wether it's at work, at home, or even out and about! Whether it's receipts, insurance policies, or even my son's artwork, I love that it's all being stored away in a safe and secure place without the clutter! How do you stay organized?